Learn how to use Factivation!® in under 20 minutes! 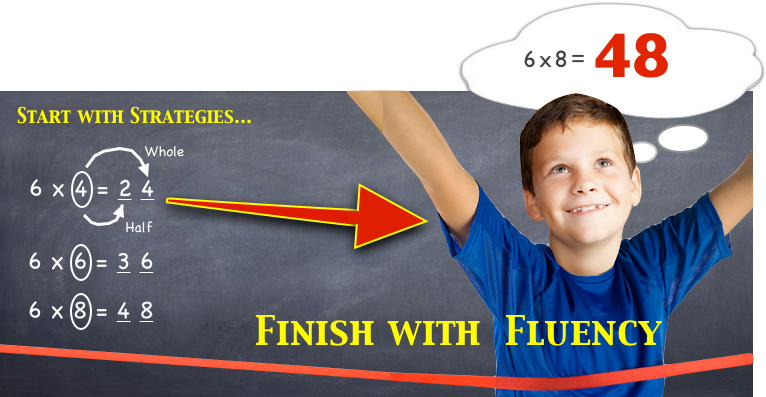 Want to know how to effectively put Factivation!® to work for you and your school? This Teacher Training video takes the highlights of our full-day Multiplication workshop and condenses them into a 15-minute presentation to be viewed by individual teachers, grade level teams, or an entire faculty. Factivation!® is a complete program that not only addresses fact fluency, but also teaches students the concept, vocabulary, application, and reciprocity of operations. Fluency Tip: Chants as Attention-Getters! 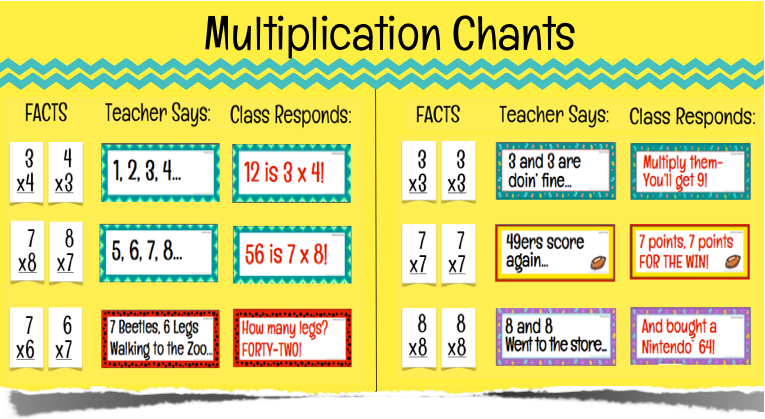 Login to the Members’ Site to print this Multiplication Chants Bulletin Board Set! 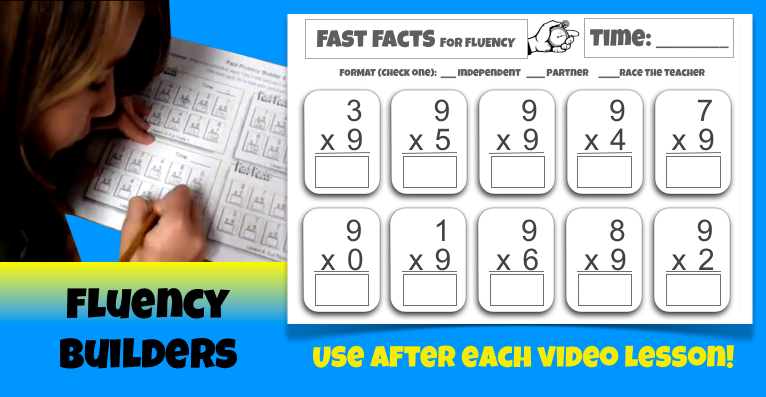 Here’s a nearly effortless way to build fact fluency! Aligned to CCSS and Other State Standards! Factivation!® ensures fluency while also providing educators with a variety of accompanying resources that promote in-depth examination of facts. RTI, or Response to Intervention, is a multi-tiered approach used by schools nationwide to identify and support the educational needs of all students. Learn More. 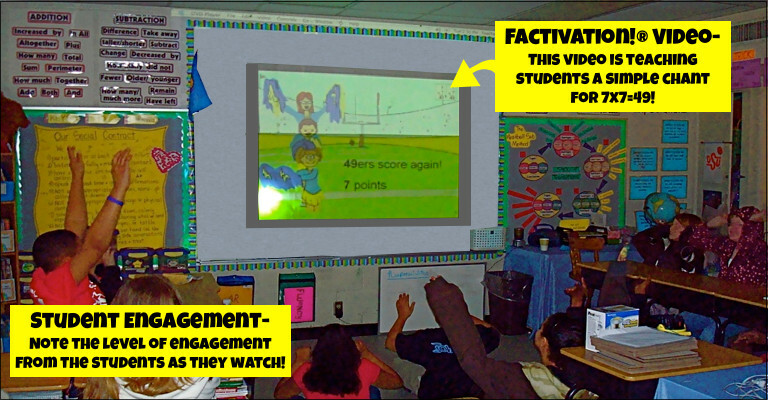 Factivation!® can be used at all tiers to deliver effective Math fact instruction and/or intervention. At Tier 1, teachers can used Factivation!® in a whole group setting for their “first, best” Math fact instruction. Teachers and students are heading back to school and Factivation LLC would like to wish everyone a wonderful 2015-2016 school year! 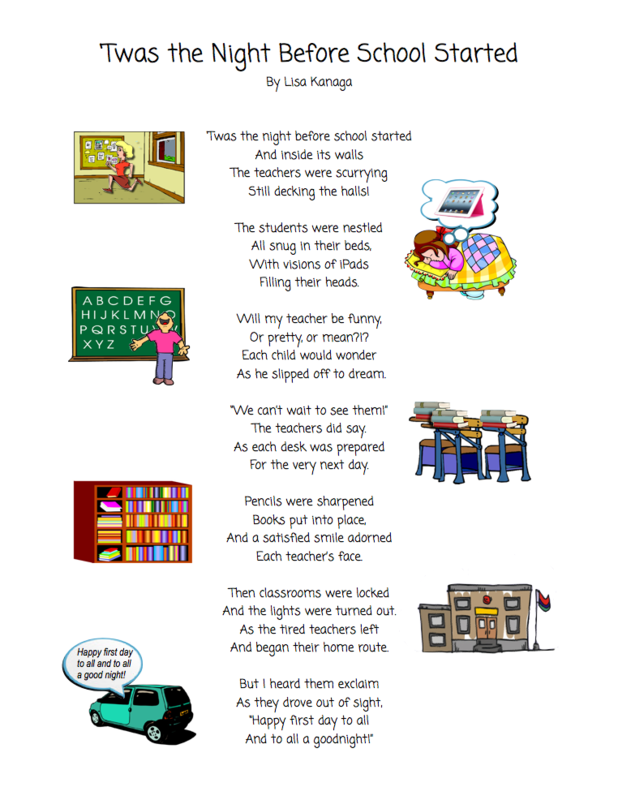 Enjoy this back to school poem! Having spent 15+ years as an elementary classroom teacher, I’ve had the opportunity to eat lunch daily in the teacher’s lounge (although there never was much lounging!) and attend weekly grade level and/or faculty meetings. I have heard it all (and have probably even said it all myself) when it comes to administrative mandates that seem to be ever-changing. 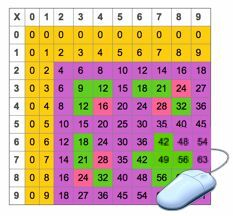 Why use strategies (like Rule, Trick, Chant, and Connection™) to teach Math facts rather than just having students memorize in a traditional rote manner? The Factivation!® strategies utilize existing schema. They apply meaning to each fact, thereby increasing a students’ ability to recall the product.